For over 10 years, SkinMedica® has been developing innovative skin care treatments that help rejuvenate skin. In 2013, SkinMedica® was acquired by Allergan, a global, multi-specialty health care company with leading portfolios in medical dermatology. SkinMedica® scientifically formulated, clinically tested skin care products, the entire aesthetic product line is inspired by the science of the skin. 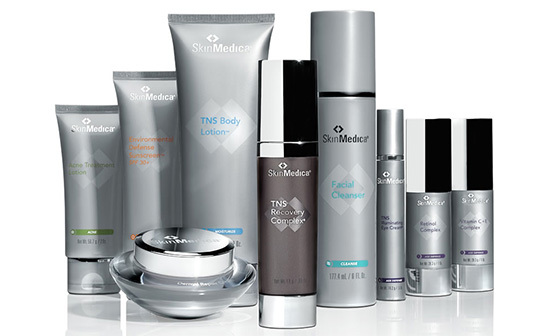 SkinMedica® is renowned world wide for its revolutionary TNS (Tissue Nutrient Solution) serums. These patented products are formulated with growth factors, antioxidants, soluble collagen, cytokines and matrix proteins to help rejuvenate the skin.